Oil and Gas Development in Colorado: Is Consensus Possible? CDR facilitated the high-profile and challenging Broomfield Oil and Gas Comprehensive Plan Update Committee (Committee). A 14-person, citizen-committee, comprised of diverse and divergent perspectives regarding oil and gas, worked for over six months to develop a consensus agreement that was adopted by the Broomfield City Council. Oil and gas development has been important to Colorado for decades. 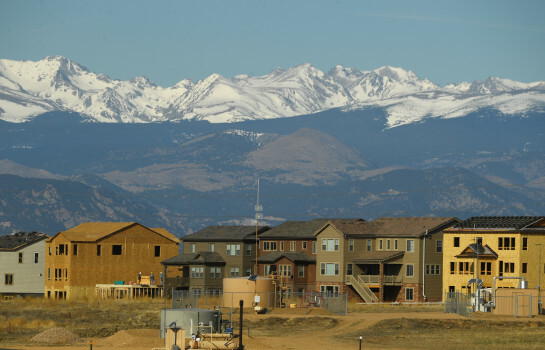 As both Colorado’s population and the international demand for oil and gas have continued to climb, oil and gas development has encroached on urban and suburban areas, while cities and towns have sprawled towards historic oil and gas areas. Landowners are sometimes frustrated to learn about the state law that allows a “split estate.” Split estate means that surface property rights are the landowner’s rights to the surface of the land and mineral rights are property rights to the minerals beneath the surface of the land. These mineral rights can be “split off” from surface rights, meaning minerals beneath the land can be owned by a separate entity. Mineral rights include a mineral owner’s right to explore, mine and produce the rocks, minerals, oil, or natural gas below the surface of the property. This includes the right to enter upon the land and extract those minerals or receive royalty from the extraction of the minerals. In Colorado, the fact that surface and mineral rights for the same area of land may have different owners can result in disputes. In response to public concerns and anger toward an oil and gas proposal that would site multi-well pads near residential areas (some sites included over 40 wells per pad), the City Council organized a transparent and citizen driven effort to develop regulations and guidance for oil and gas contract negotiations and memorandums of understanding (MOUs). Broomfield convened a public forum at the 1st Bank Center that attracted thousands of concerned community members (in-person and live streamed) and later formed the Update Committee that prioritized the health, safety, and welfare of the residents and environment of Broomfield, as part of the Comprehensive Plan. The Committee members also recognized, as part of their charge, the need to allow mineral rights owners’ reasonable access to their mineral property. The Council charged the Committee with this technically complex and controversial task. The Committee organized itself into four subcommittees: Health, Community Impacts, Planning, and Legal. The Committee met at least two times a week for over six months. Numerous experts presented to the Committee on a range of topics to better inform the deliberations from air quality and noise standards to property values and state policy. CDR facilitated the Update Committee’s consensus agreement working through numerous contentious issues, framing the problems constructively and encouraging frank and creative problem solving. One of the essential elements of the effort was the strong technical, legal and policy support from the Broomfield staff. The six-month facilitation resulted in comprehensive, strategic, and far reaching recommendations. Both the process and the substantive recommendations are seen to be a model for other communities facing similar challenges. These recommendations require state of the art technology and target regulation to mitigate, to the extent possible, negative impacts to the community and the environment. Recommendations from the Update Committee include: Air Quality, Groundwater, Environmental Assessment, Oil and Gas Facility Siting, Application Process and Requirements, Pipelines, Setbacks, Traffic, Visual Screening, Insurance and Bonding, and Enforcement. Click here to view City Council Resolution 2017-160 and the adopted Comprehensive Plan Update Chapter on Oil and Gas, adopted on September 26, 2017.